Hawaii 5-0 | GlobeWest bring a diverse group of real estate experts who collectively have a vast experience in the development marketing business and sold billions of dollars in real estate. 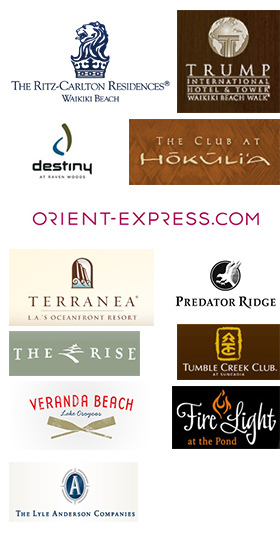 Our group has worked with some of the top developers in the world from Ritz-Carlton to the Four Seasons. We have expertise in all facets of marketing and sales, and have been schooled working within some of the top organizations in the real estate world such as Intrawest, Sotheby’s and Trump. In addition we are licensed in many states and provinces and have worked extensively in the Hawaiian Islands selling projects in Oahu, Maui, Kauai and the Big Island. We know how to market Hawaii and how to target customers in different geographic areas of the globe. Our sales-first approach and hands-on experience provides developers with the know-how to get things done and to create a successful sales and marketing campaign.